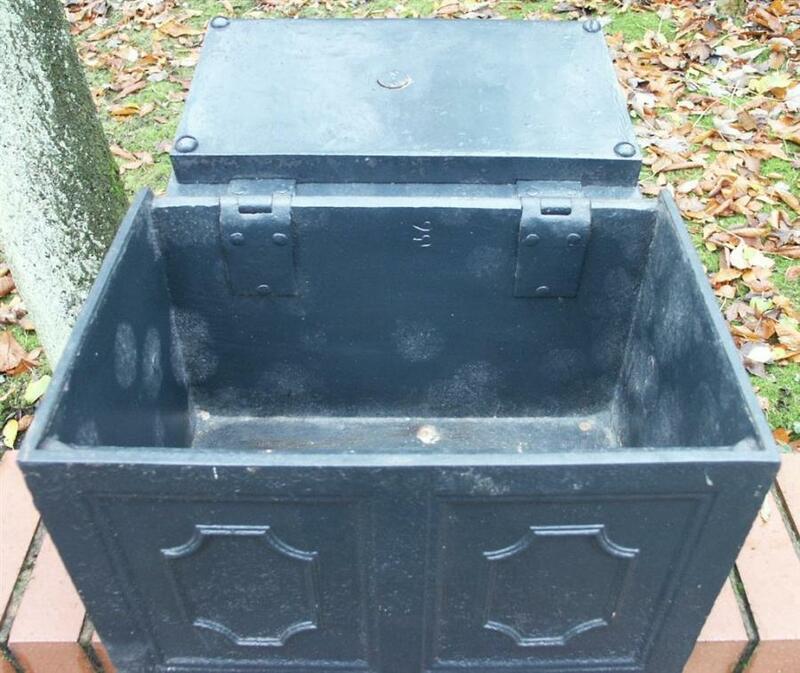 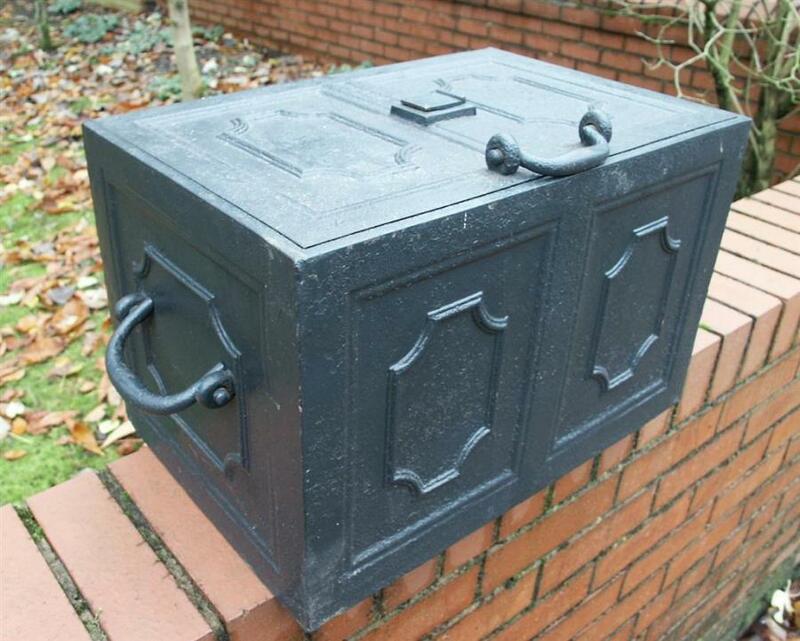 A cast iron strongbox stamped CARRON (maker) to top.Moulded panels all round,3 handles,smoothly closing lid.Heavy but can be picked up by one person.Usefull as fireside box for coal,kindling etc. 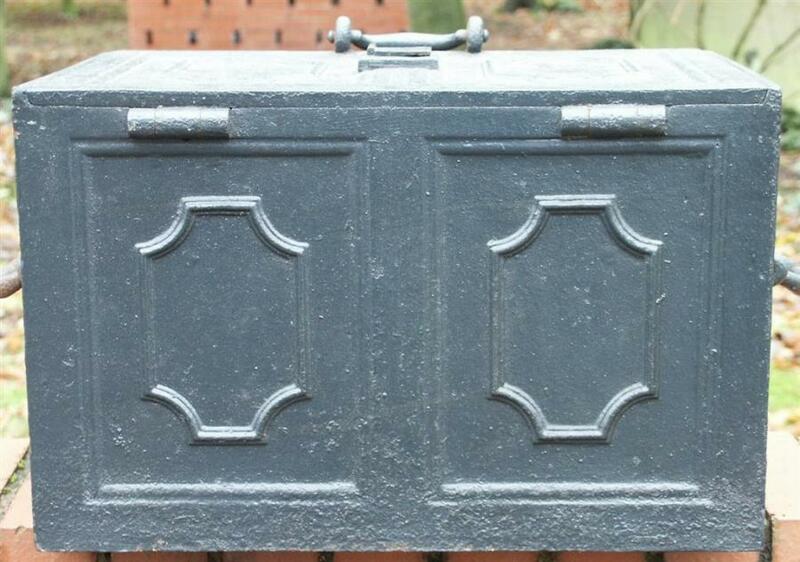 Dimensions in inches:18 wide by 12 deep by 11.5 high (not inc handles).No key(opens fine).Excellent condition. 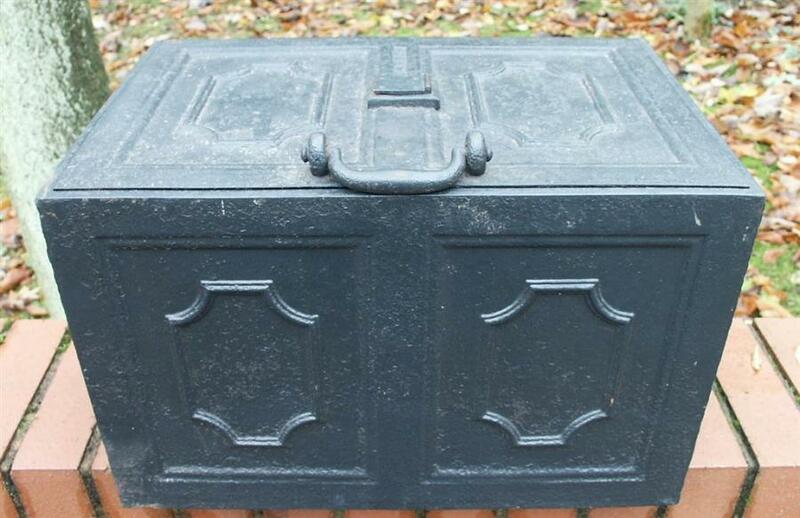 I have a second similar box.